Our middle school faculty provide a rigorous curriculum which continues to advance in knowledge and skills throughout all subjects. Students who have started with us in lower elementary (Kindergarten and 1st grades) and stayed with us to graduate in 8th grade, most often test as "past high school" on our national Pearson Stanford standardized tests. Students who join us in later grades are challenged and advance substaintially as well. This advantage continues with our students as they progress into high school. Our middle school students are well-prepared for the next phase in their educational journeys. Religious studies focus on helping students become faith-filled Christians who keep their moral compasses always pointed towards Christ as they venture forth into their high school years and beyond. Our students study the Old Testament and New Testament scriptures and stories. Topics include: the historical events of salvation, the sacraments, the teachings of Jesus, the Stations of the Cross, the Ten Commandments, the Beatitudes, Mary as Mother of the Church, the Holy Spirit and the Saints of the Church. 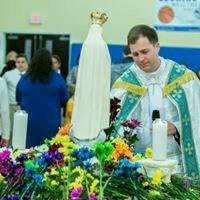 Our students participate in weekly Mass and many stewardship endeavors through the school year. In addition, our 8th grade students study Confirmation preparation lessons. Our middle school students spend much class time developing their reading comprehension and writing skills which in turn means continuing to advance their studies of grammar and vocabulary. Readers workshop and independent choice reading continues as the development of "love of reading" is still a main theme in middle school. Our middle school students advance through their math standards for 6th & 7th grades. Topics include: numbers and expressions, equations and functions, decimals and percent, fractions, ratios, exponents, integers, conversions and proportions, measurement, statistics and data, and multi-staged problem solving. Their lessons are integrated into many science, technology and STREAM curriculums. As students enter 8th grade, they are able to take Math 1 for high school credit. Math 1 involves algebra 1, geometry, and statistics. All middle school students participate in Math Olympiad competitions to encourage excitement for math and improve their strategies for problem solving as well as increase their math creativity and flexibility. Our social studies lessons in 6th & 7th grade cover Europe, Asia, Africa, and Latin America and their social, political, and economical histories. Students are challenged to analyze similarities and differences among their societies. There is much emphasis on geography, countries and capital cities. Lessons are integrated into religion and language arts writing assignments. Current local, regional, national and global issues are integrated into daily instruction. 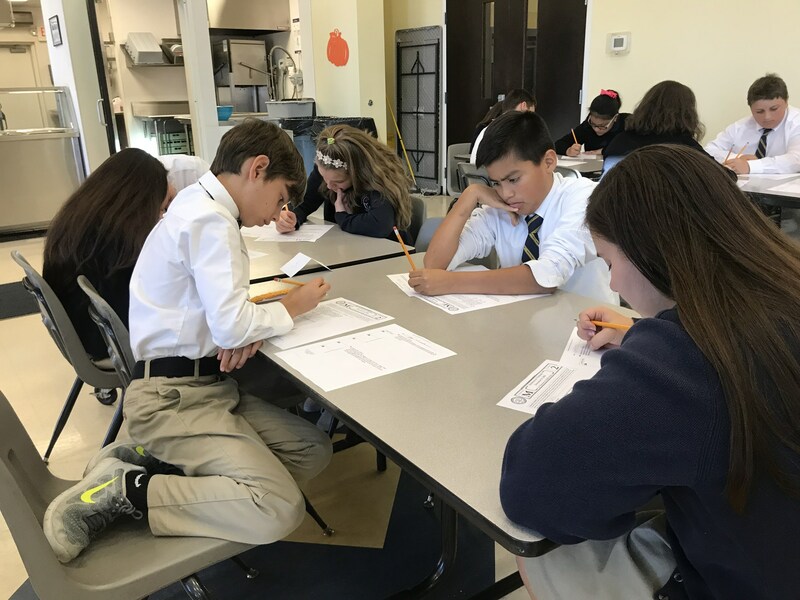 During their 8th grade year, students focus back to American history, pre-constitution to today with discussion focusing on geography as our nation expanded, economics, social growth, communities, civilizations and government. Our Catholic and Christian ideals as they apply to our nation's history are taught. Science is ALIVE at SHCS including numerous STREAM lessons and energized learning. They cover numerous curriculums of life, earth, and environmental sciences. They learn the basics of biology, chemistry, biochemistry, physics and nutrition. Many of their lessons are integrated with technology, religion, engineering, agriculture and math! 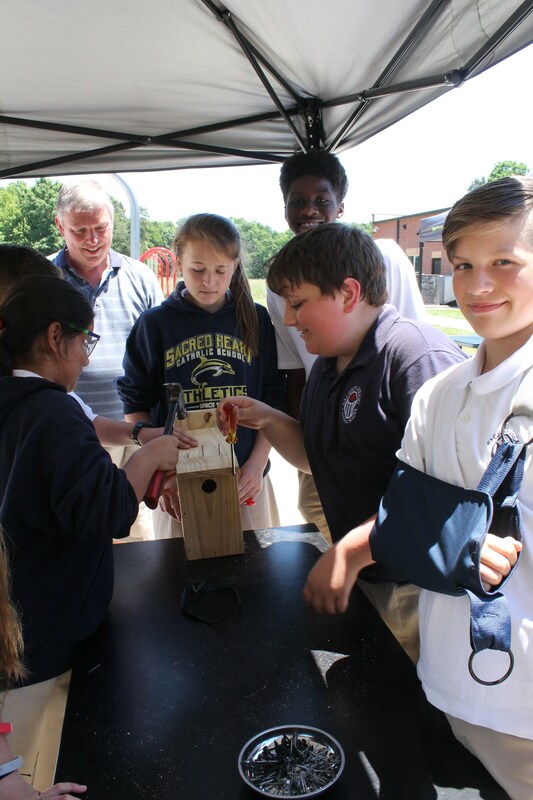 Our school is a member of the Leopold Society of The Land Trust of Central North Carolina, so our students are exposed to wildlife, nature, conservation, and agriculture through many hand-on projects and experiments. We have three gardens on campus - a community garden, a school garden and a sensory garden. Our middle school students help maintain the gardens. 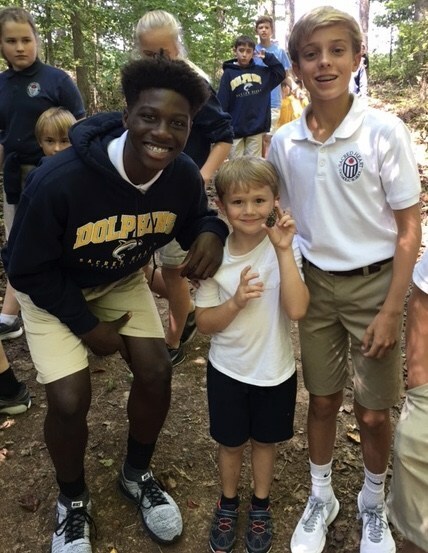 In addition, our students enjoy lessons involving our 2-mile nature trail on campus. Students are able to study wildlife, plant life, and ecosystems up close.